You’ve decided to repaint the exterior of your house. And you’ve chosen the best colors. Maybe you even have a contractor in mind already. But how do you know the best painting season for exteriors? Surely it’s summer? It’s natural to think so, but you’d be wrong. Read on to learn why early fall is the best time to paint outside. When you paint outdoors, you have a window of opportunity during the day. You need to wait until late morning to start, to give dew a chance to evaporate. Then you need to stop in mid-afternoon to give the paint a chance to dry before the temperature drops overnight. Early fall gives a nice window in which to paint your exterior. Direct sun causes paint to cure in bizarre ways, and there is less of that in early fall. It’s not just direct sunlight that causes curing problems. When it’s too hot, like in summer, the paint doesn’t cure properly. You can end up with visible brush strokes or blisters in the coating of paint. The paint might not even stick properly, causing flaking at a later date. Daytime temperatures between 40?F- 90?F give the best results for oil-based paint. Likewise, early fall offers lower levels of humidity. The lower levels of moisture in the air help paint to cure properly. That leaves your new paint job with a better finish. 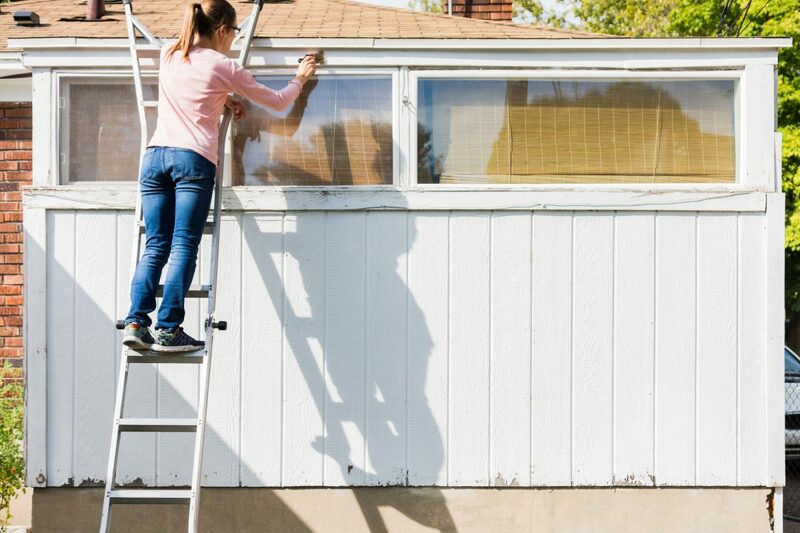 If you’re having your home repainted to increase its property value, you need it looking its best. We all associate fall with that morning nip in the air, and the winds that shake the leaves from the trees. But early fall isn’t as cold as we think. The first moderate freeze of fall doesn’t happen until late October in Missouri. The more moderate temperatures lead to less dew on freshly painted surfaces. The less frequent rain showers mean your contractor can get your painting done in a couple of days. And the fog won’t roll in until later in the year, giving paint more time to dry. More comfortable working conditions give you more time to examine the exterior of your home. That’s something you’re less likely to do in the glaring full sun of summer. Your contractor has time to repair stains caused by water or mold. They can fix up cracked stucco or use putty to fill in other cracks in the outside of your home. Let them do the repairs first so you don’t spoil your new paint job. Summer is filled with hot sun, humidity, and plenty of bugs to ruin your painting. But early fall? It’s truly the best time to paint, with less heat, lower humidity, and better conditions. If you’d like to book painting services for your own exteriors, contact us for a quote today.